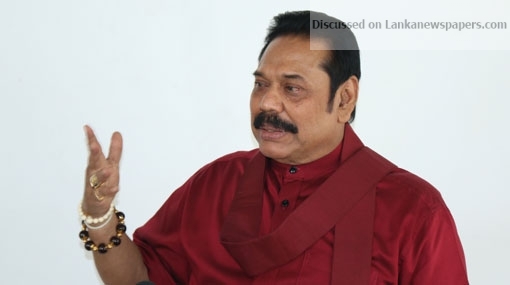 Former President Mahinda Rajapaksa says that there is a need to create in the country a nationalistic alliance comprising of Sinhala, Tamil and Muslim leaders resembling the first post-independence government. “Obviously this is not a situation that can be allowed to continue,” he said, issuing a statement today (7). “This is not going to be an easy task given the poisonous contagion of communalism that has spread in this country over the past several decades,” he said. However, Rajapaksa said, that on the basis of the recently concluded local government elections, he has reason to be cautiously optimistic that a window of opportunity exists to be able to turn back the tide of communalism. The former President stated that the only way to prevent these clashes is the strict enforcement of the law. “Unrest is often generated by real or perceived police inaction in relation to a complaint. The police should respond to disputes or conflicts between different communal groups promptly and decisively,” he said. “The local and foreign forces seeking to destabilise this country are trying to engineer another 1983 style conflagration to drum up support for their constitutional reforms which seek to divide this country into several semi-independent states,” he claimed. The former President called on citizens belonging to all communities to reflect intelligently on what has been happening and to refrain from all acts of violence.